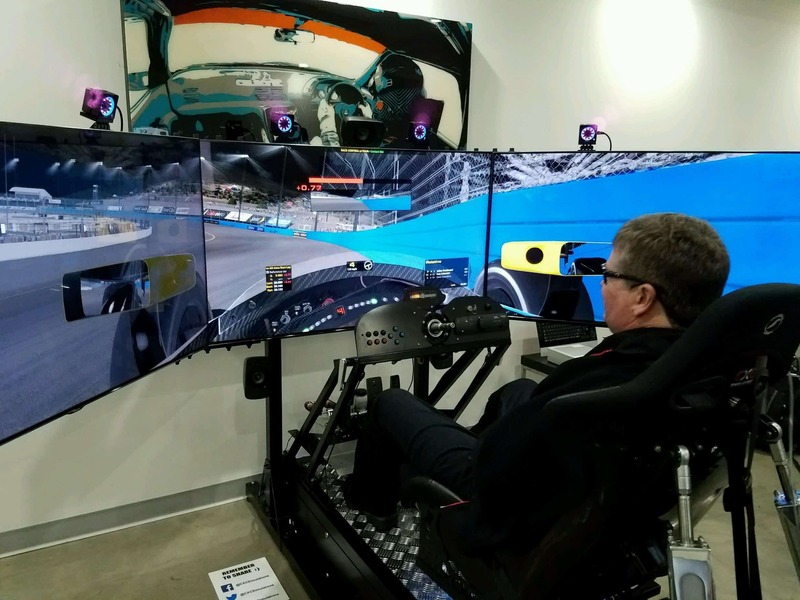 Sam Schmidt, a former IndyCar driver and current team owner of Schmidt Peterson Motorsports, placed 16th during the sixth annual iRacing Pro Race of Champions at CXC Simulations, using a race simulator equipped with semi-autonomous technology designed by engineers from the global technology company Arrow Electronics, Inc. The annual iRacing event pits 24 professional drivers from around the motorsports world against one another for an online simulation race. Schmidt, who was left quadriplegic after a crash during an IndyCar practice lap in 2000, has collaborated with Arrow on semi-autonomous technology since 2014. Arrow engineers designed and built a modified Corvette for Schmidt, called the Semi-Autonomous Motorcar or SAM car, that he can drive using only the motions of his head and voice commands. The off-the-shelf, open-source technology that Arrow developed for Schmidt has not only helped him to experience driving again, but also inspired additional innovative applications for assistive technology. This is Schmidt’s second consecutive year competing in the iRacing Pro Race of Champions using Arrow-developed technology. This year, the pros raced in digital Dallara DW12 IndyCars on a laser-scanned version of the Phoenix International Raceway. Verizon IndyCar Series champion Will Power and NASCAR’s Timmy Hill were among the other racing notables participating. All of the proceeds raised during the event were donated to the Justin Wilson Children’s Fund. Arrow Electronics is a global provider of products, services and solutions to industrial and commercial users of electronic components and enterprise computing solutions. Arrow serves as a supply channel partner for more than 100,000 original equipment manufacturers, contract manufacturers and commercial customers through a global network of more than 460 locations serving over 85 countries. Learn more at fiveyearsout.com.